We’re finally going to see a proper Dungeons & Dragons movie, perhaps as early as 2021. A new report claims the long-awaited reboot is being prepped and will be ready to shoot sometime in the summer of 2019. Chris Mckay was in talks to direct Dungeons and Dragons way back in February. The movie is coming from Hasbro’s AllSpark Pictures, now home to the Transformer movies and other Hasbro toys that are getting the big screen treatment. Since earlier in the year, we haven’t heard much about Dungeons and Dragons. Though Game Stop did start selling an awesome T-Shirt based on the 1983 Dungeons and Dragons Saturday Morning animated series, which has certainly peeked interested in a lot of fans. But it’s doubtful that we’ll see a live-action iteration of that fan favorite coming to life. 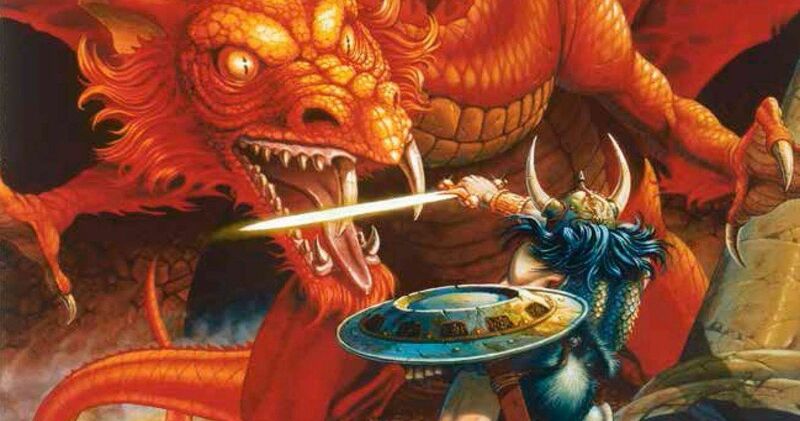 Hasbro and AllSpark have already set a 2021 release date for Dungeons and Dragons. And Production Weekly is now listing the reboot for principle photography to begin in the middle of next year. This is the first sign that the movie is really ready to move forward, though it hasn’t been confirmed that McKay is actually the one directing the action adventure comedy. Michael Gillio is responsible for the script, with Hasbro CEO Brian Goldner and Stephen Davis producing the movie. Production Weekly also has Shari Hanson listed as one of the producers on the project. Hanson was a VFX producer on J.J. Abrams Star Trek movie, and worked with him on Mission Impossible III. Dungeons and Dragons has been meandering through pre-production since 2015. At that time, Warner Bros. was in charge of making the role playing game come to life. In the early stages of development, Ansel Elgort was in talks to play the lead. A lawsuit between Sweetpea Entertainment and Hasbro over ownership of sequel rights caused Dungeons and Dragons to stall out. And Warner Bros. was never actually able to get the machine moving. Last year, AllSpark Pictures was able to finalize a settlement and shucked Warner Bros. away, renewing an exclusive production deal with Paramount, who will distribute the movie. Right now, Ansel Elgort is still being listed by Production Weekly as the lead, but again, there has been no confirmation that he is still attached to the movie in anyway. Chris Mckay was signed to do a Nightwing movie at Warner Bros., but it’s unclear if that’s still happening at this time due to Titans getting renewed for a second season on DC streaming. It looks like Dungeons and Dragons will happen first, even if Nightwing moves forward. So far, there are no true plot details for Dungeons and Dragons. We’ll have to wait until the movie is formally announced by Hasbro, AllSpark and Paramount before we get a true answer about what is really being planned for this fantasy.